General, Organic and Biological Chemistry, 4th Edition has been written for students preparing for careers in health–related fields such as nursing, dental hygiene, nutrition, medical technology and occupational therapy. It is also suited for students majoring in other fields where it is important to have an understanding of the basics of chemistry. An integrated approach is employed in which related general chemistry, organic chemistry, and biochemistry topics are presented in adjacent chapters. This approach helps students see the strong connections that exist between these three branches of chemistry, and allows instructors to discuss these, interrelationships while the material is still fresh in students′ minds. 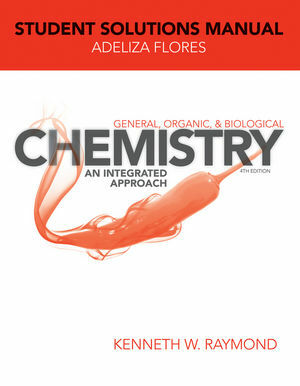 Kenneth W. Raymond is the author of Student Solutions Manual to accompany General Organic and Biological Chemistry, 4e, published by Wiley.